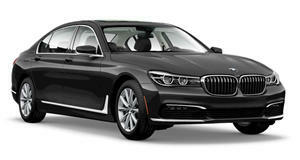 Don’t just expect more technological playthings either because BMW's New Year's resolution is to buckle down on luxury. For these next few days, trips down memory lane will probably be full of things that took place in 2017 as you begin to take last year’s events into account and plan for a better 2018, but we want to go a bit further back to somewhere around June of 2015. That's when the current G11/G12 7 Series was unveiled with that fancy Gesture Control and a pretty new face to match. Going that far back seems like a stretch, and BMW thinks that indicates it’s about time to refresh its flagship sedan, according to . Though the standard G11 and long-wheelbase G12 models never sold as well as the Mercedes S-Class, they satisfied a segment space that absolutely no luxury automaker can afford to miss out on. In order to give it , BMW will begin production of its updated 7 Series in March of 2019 with a reveal likely taking place sometime at the end of this year or early in 2019. with the latest iteration of BMW’s styling language as well as technology exceeding the past high water mark. To keep things interesting, BMW will bump the V8 engine in the 750i up to 465 horsepower and give the smaller 740i a spritely 335 ponies to get around with.